Downloaded your free beginner guide? Grab it here. 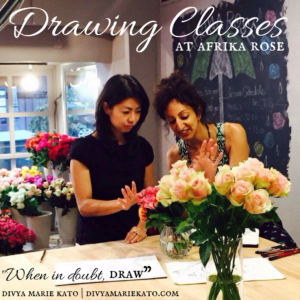 * Students & Sponsorships email: info@divyamariekato.com to enquire and apply. Not true. 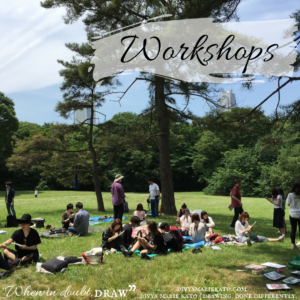 I’ve been sharing drawing now for many years and everyone who has been through my full course, in short the complete drawing tool kit, has left being able to draw. Yes you can. And yes you are! Tailored to you. Wherever you are. Wherever you want to go. All materials included. Gift certificates available. But somehow, step by step, I just started feeling more relaxed about it and drawing became a certain mindset. What if you do things, without thinking too much about it – just because you FEEL it is good for you. From then on, everything that happened seemed logical. 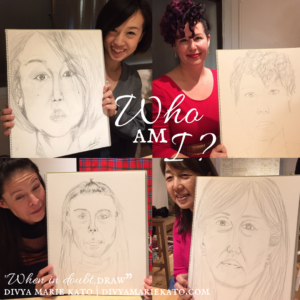 “I really enjoyed Divya’s art class – it is very easy-going, and you can be as creative as you choose to be. 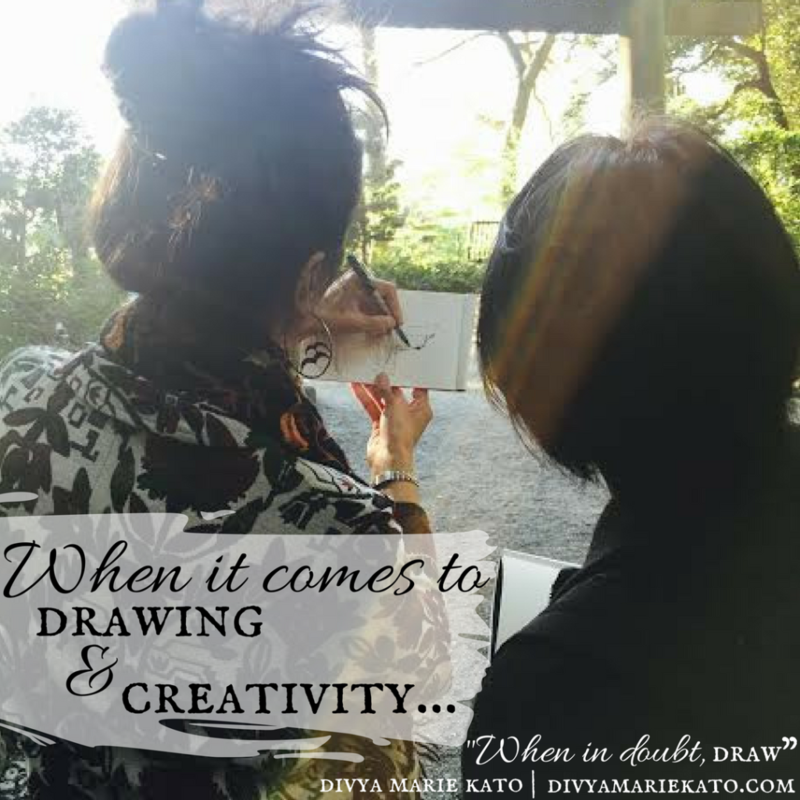 I have often heard stories about having had a bad experience of art class, of drawing or painting at school – someone made a rude or unkind comment about your work, a teacher was discouraging – and now you simply believe that you cannot draw. Or, you’re just too scared to try drawing again. 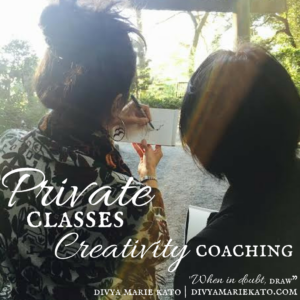 My studio is a warm, calm, joyful and relaxing environment which wholeheartedly welcomes beginners. If this is your first time, beginners are best! 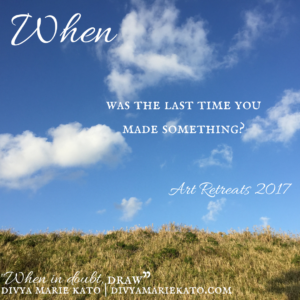 Artists are often striving to go back to the beginning, to see things as if for the first time – to be open again and fresh to all possibility and not be hemmed in by experience or what someone may have said. Creativity is and should always be an adventure! Simple, readily available materials. 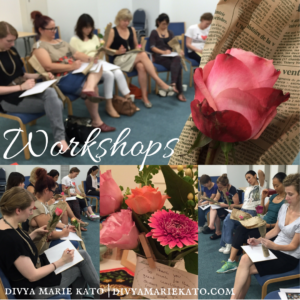 Introduction to creative concepts and artists. I will demonstrate, review and be on hand to advise and support you. My studio is easily accessible and centrally located. 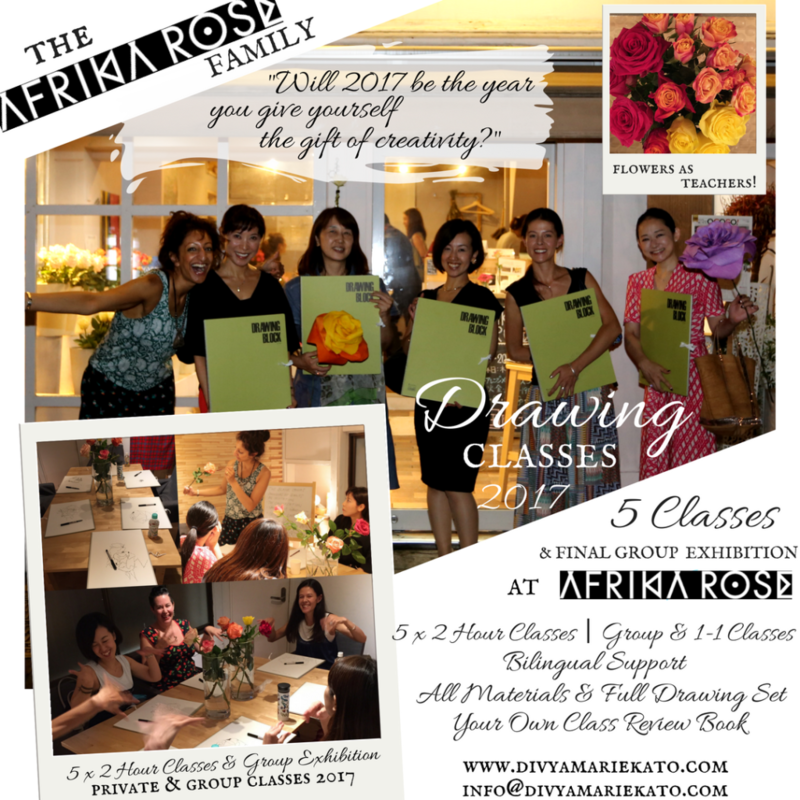 My motivation to take an art class is to have knowledge of basic art to prepare myself more when I am in my home country. 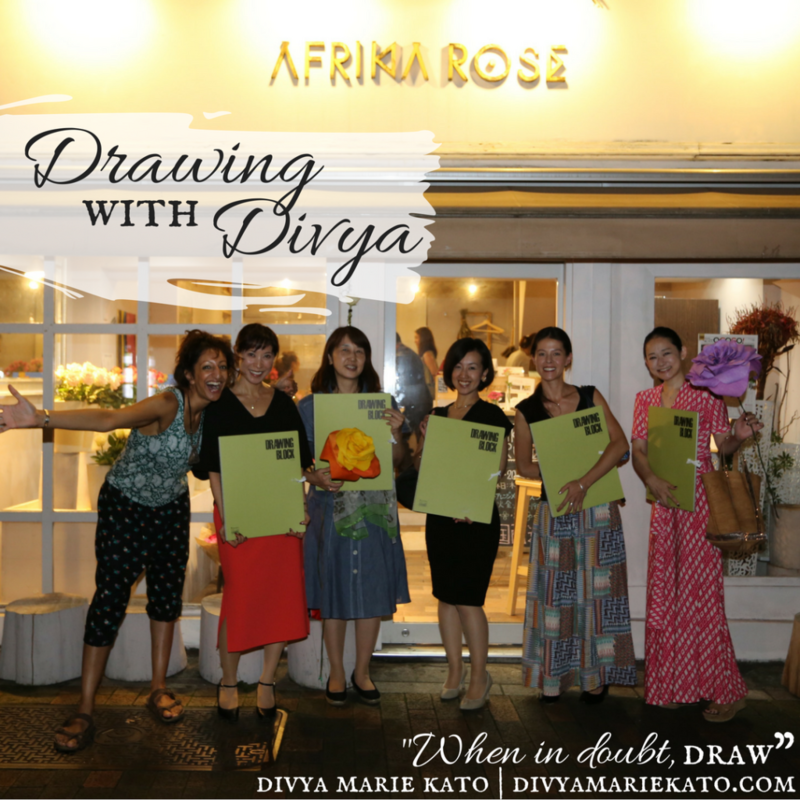 Since I believe, to have good art instructor in Tokyo will give new perspective for me to see the arts itself. Surprisingly, my prediction is right. Anyone you know who would love a creative gift?